a story about how they change a planet and live on it. an animation short film of Technology Evolution. An unlikely friendship forms between a Hatchling and a worm she adopts. The Hatchlings are back! See the brand-new Hatchlings short "The Early Hatchling Gets the Worm" in theaters only in front of The Angry Birds Movie. 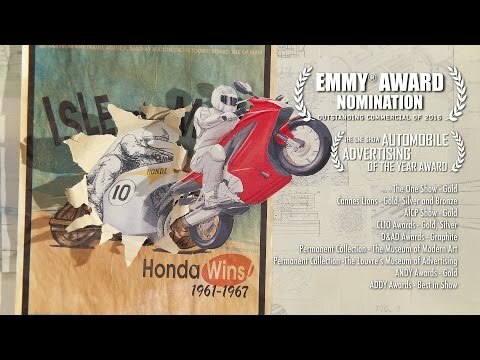 PES's Emmy® Nominated commercial for Honda. Dozens of animators and illustrators, thousands of original drawings, and four months of work. Everything in the film is done by hand and shot in camera. Question: What's little, slimy and lives in the sewer? Answer: Snooki. We would also have accepted: Larva. Watch the latest episodes now! ズルゾロフ・ファミリーのビルに、すっかり住み着いてしまったプーチンとキレネンコ。 キレネンコは相変わらず、シューズ雑誌に夢中・・。 プーチンはスパナを取り出し、壊れてしまったメカネンコを修理するも おかしな機能が増えていって予期せぬハプニングが続出!! 新たなドタバタ共同生活の行方はいかに? !